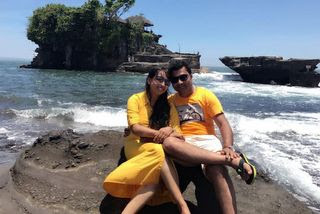 Plan your trip to Bali with the expert for the most exciting experience holiday. Bali island is one of thousands island in Indonesia which is famous as the last of paradise island in the world. Traditional culture, strong religion believe with 94% Hindu religion, beautiful island geography, welcoming hospitality of the people and may have much more which hard to describe. Since hundreds of years became the purpose of the foreigner visit by try to search and explore the island. Every visitor try to find out deeply and the real of the island and the Balinese famous culture. 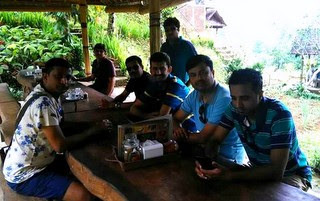 It will be hard since you will come and stay as tourist visit with short period of stay. 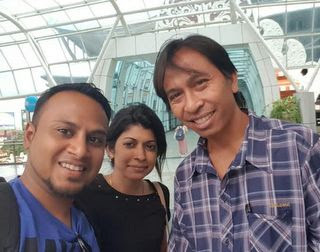 As one of the island local tour guide and expert with island part, I will review the island as the part of searching which considering the distance and route to help you to plan your land tour in Bali. With my review hopefully that become easier to select your destination and become more effective timing. As the advance info that our island is quiet big to explore, let's say from south part to north as the wide of the island may take 3.5 hours drive during the midday and east to west as the length may take 6 to 7 hours with normal drive past trough 2 line of town road. Another challenge for you is the island may don't have a direct connecting road to combine the area or even any access but will not suitable to pass by car drive since to road is so small with hall in every meters. South Bali is the most growing places with economic centralized and tourism business. The south part is support by the main facilities of tourism that is the airport Ngurah rai. Let's say Kuta, sanur, nusa dua and jimbaran and during the government autonomy system kuta which is the tourist area now share become Kuta, legian and seminyak. South part of Bali is the main part for tourism facilities with variation option by the rate and style. Walking access around the hotel and travel agent. 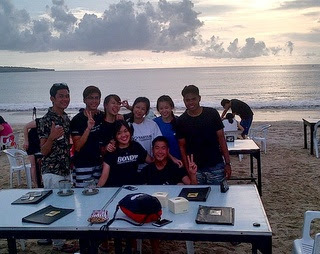 Restaurants around south Bali are offer the most world taste of food and some of them serve with qualified service by the food and beverage graduation skill. Most tourist will use their first day tour to go around the south Bali with mainly provided the beach view and activities. 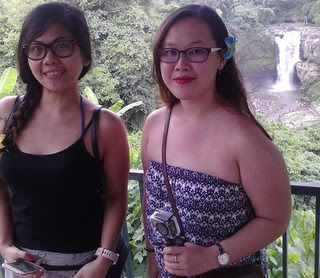 Bali island tours for viewing the real nature of Bali. 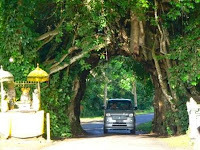 North Bali is one of the area in Bali which is consider as less level of the social living compare to the south Bali. The north Bali with the capital named Singaraja was use to be the capital of Bali during the colonial time and even a few years after our independence. The un operated harbor was used by the Dutch to arrive in Bali and start to do the colonize in Bali. The long distance between south to north Bali takes around 3.5 hours drive will become the reason for most visitor to decide for having 1 overnight stay in Lovina with the black sand beach. Lovina may become the only one tourist area which provides the tourist area walking town with restaurant, shops and small bar. Instead of that Lovina also famous with the dolphin wild show during the sunrise and has a beautiful coral view for snorkeling. One of other famous place to stay for the natural Balinese environment is Munduk. This village is getting famous since they grow some of home stay for the overnight visitor and they may enjoy the exciting blue mountain hill and full with cloves and coffee plan. The only one area which is not so grow with tourism and hard access for Bali tours since this part also become the connecting area with java island. They have the certainly even regularly named buffalo race. Instead of that this part may famous for the surfer who want to try to have the challenge at Medewi beach. 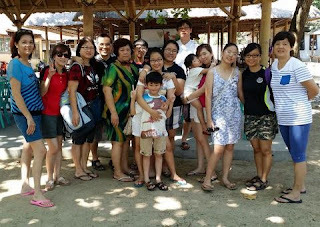 Bellow some picture tag as your option to combine your tours to west part of Bali. West Bali national park is become one of the most exciting places to go, having your tropical jungle trek with the protected animal around. If you are one of the advance dive license north west Bali with one of the best dive spot in Bali named as Menjangan island. 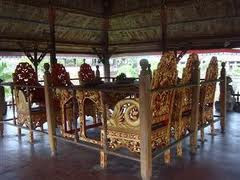 The east part of Bali is become the most special part in Bali, since in this part most of the object are old temple. Klungkung is become the latest growth of Bali Central Kingdom as the continuing of Bali Kingdom is Bedulu (Ubud area) which moved to east part around 11 century. There so many old and historical temple and this part very often to be the spiritual research for Bali historical scientist. They try to learn more about the mystical and magical secret of Bali Island. 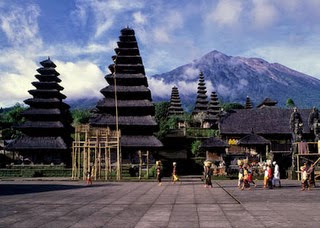 Middle part of Bali is one of the most wanted visiting area by most of visitor during their holiday in Bali. The most complete area with a lot of option to visit during your vocation in Bali. Most of the area around the middle part is consist of the area around the highland up to the top and down till the foot of the highland which considering the places more fresh air and beautiful scenery. Some of the object around is mount Batur, Ulun danu temple, rice terrace, holy spring temple, and the famous art area named Ubud. Especially the last places I mention is one of the most searching area since this places is most for the visitor whom likes to explore and enjoy the art work of Balinese. Some of us who hard to appreciate about the art may skip this places but for the art lovers then Ubud become the only one places in Bali you should go to see the real of art with high class quality.